Fall is well under way, and wintertime is near. There are mostly clouds in the sky and plenty of rain in the forecast (where I live.) But, as you may have heard time and time again, you should never go a day without sunscreen on your face! 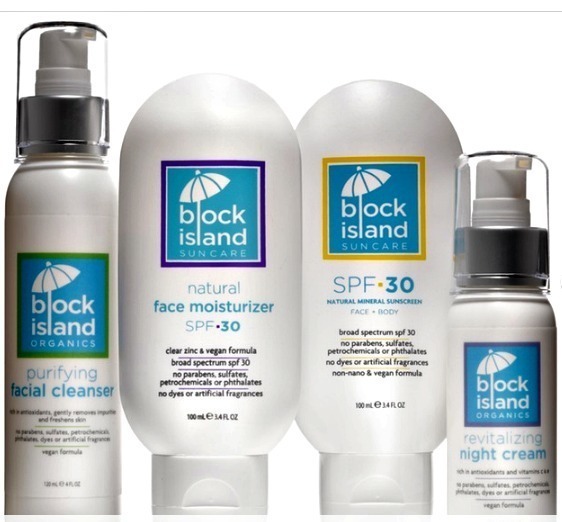 One of the best facial sunscreens I have ever used is Block Island Organics. Block Island Organics creates safe, quality, and lovable non-toxic suncare and skin care products so you can get outside and play. I wear a moisturizer that contains sunscreen almost every day that I know I am going to be outside, rain or shine. 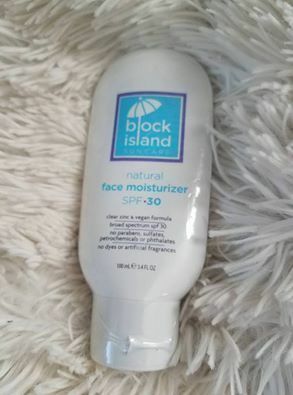 One of my favorite facial moisturizers with sunscreen is Block Island's Natural Face Moisturizer~ SPF 30. Block Organics Natural Face Moisturizer is an advanced daily moisturizer made with clear zinc that nourishes skin. Fortified with broad spectrum SPF 30 sun protection to prevent wrinkles & early skin aging. It makes my skin feel very soft and highly supple. I love it because it is lightweight and acts as the perfect base for my foundation. It never causes me to get blemishes like many facial creams with sunscreen tend to do. Save 20% off on this site from today through November 22nd, using the code juliann at checkout. Please note the code is not combinable with offers but can be used multiple times. Follow us for the latest company news and suncare info! I don't use sunscreen every day, but I probably should. I usually use SPF 25. I use SPF 30 year round. I use SPF most days. I forget once in a while. To be honest, I only wear it during the hot spring days and during the summer months when I go outside. (most days). It is usually SPH 30. I usually just use SPF 15, thank you so much for the great offer! You are the best. I use a daily 15 spf for my face and when in the sun, I use at least 50spf, preferably higher. I use 50 spf or 50 Pa+++ on my body and face daily and protective gears too. I do not :/ only in the summer. I use SPF 30. I use sunscreen if I know I will be outside. I try to use at least a 50 spf. I do typically use a sunscreen on my face because my moisturizer has it built int. I believe its like a 20 spf.